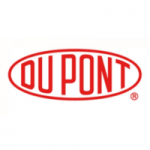 DuPont Transportation & Advanced Polymers, one of DuPont’s main businesses, is working on thermoplastic resins and elastomers to provide solutions to the future challenges of our global customers in many industries. Work closely with internal stakeholders and customers to develop the future of our product portfolio. Lead silicone based R&D projects as part of a multi-disciplinary professionals team. Design / Conduct / Complete product formulation and application testing. Fluent in written and spoken English, and French or German. Other languages would be a plus.